The rest of the world might be slowly hauling its way out of recession, but at the highest level, football remains a very lucrative employment opportunity. Thanks to the Premier League's continued value, the top earners in football in 2014 pocket salaries beyond the dreams of earlier generations of players. If an employee had spent a few months looking out-of-sorts, grumpy and ineffective, to the noticeable detriment of the firm, chances are they would be looking at redundancy rather than a hefty salary increase. Normal rules do not apply in the heady world of Premier League football however. 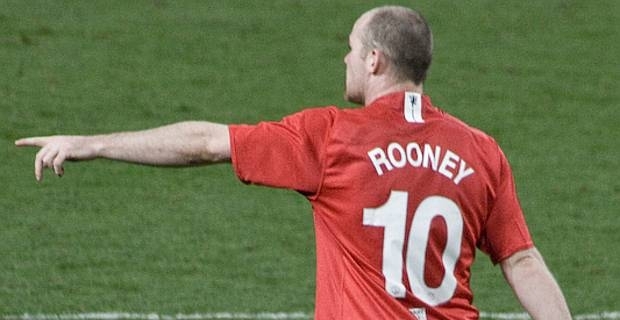 Wayne Rooney, waning star of a lacklustre Manchester United team, remains one of the top earners in football in 2014, after signing a new contract worth an estimated £300,000. A week. That makes him the fourth highest-paid player in the world. The TV rights income and sponsorship deals attracted by the top clubs allow them to offer their stars these astronomical sums. Rooney's teammate Robin Van Persie is on £200,000 a week (for now, although he may soon be hinting that he deserves at least as much as Rooney). Chelsea's Belgian star Eden Hazard earns a similar amount. Spain's La Liga is the only other competition where players can hope to earn salaries higher than the Premier League. Real Madrid's Cristiano Ronaldo and Barcelona's Lionel Messi and Neymar are the only players earning more than Rooney. Real Madrid's Welsh star Gareth Bale joined the top earners in football in 2014 with a salary of around £250,000 a week. Among those envying the top earners in football in 2014 will be players in the lower reaches of British football. The part-time professional remains commonplace in the lower leagues in Scotland, while many smaller clubs in English football rely on local sponsorship deals to meet the wages of their players.